Comparatively small pelican, however a large bird and is mostly white, with a grey crest, hindneck and with beautiful brownish tail. It catches fish in its big bill pouch, while swimming at the surface. Spot-billed Pelican are colonial breeder, often breeds along with other water-birds with nests on low trees near wetlands. These species were earlier used by fishermen in the parts of Bengal as decoys for a particular fish. 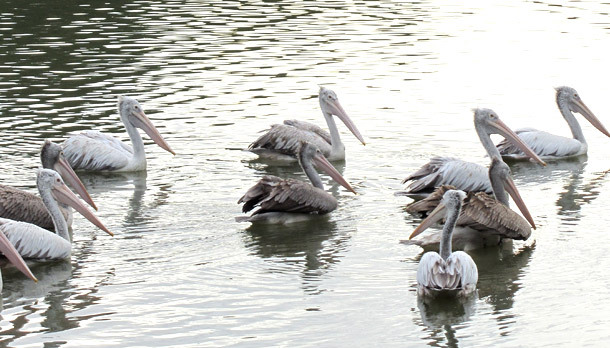 They are also known as Grey Pelican (Pelecanus Philippensis). Pelicans are found in Southern Asia, from Southern belts of Pakistan, reaching across India, to east till Sumatra, Indonesia and also in many parts of Cambodia as well. It had healthy population earlier in Asia but later it declined, due to various reasons. However, with the implementation of protection and injecting education, population has been raised up, in a better quantity. It is a bird of large inland and coastal waters, especially large lakes. The main habitat is in shallow lowland freshwaters or in saline waters, irrespective of whether it is kept, closed or open. Major diet includes varieties of fishes, amphibians such as frogs, crustaceans and occasionally smaller birds depending on what they get. 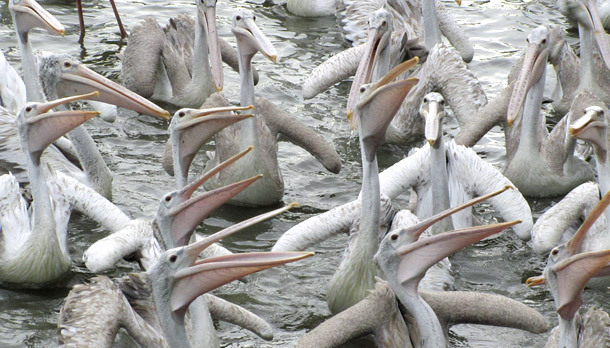 Overall, Pelicans get sufficient vitamins and energy out of such healthy diet. It’s an adventure of lifetime as you stroll around the Khao Kheow Open Zoo to experience serene beauty of the wildlife. 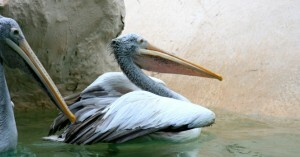 Make sure you visit Khao Kheow Open Zoo for the magnificent varieties of Spot-billed Pelicans. Nice article, Love to visit the Khao Kheow Open Zoo someday..